Okay, when People magazine is reporting this rumor...you KNOW it's got to be legit. On Friday, the internet was set on fire as media outlet after media outlet reported the youngest of the Kardashian-Jenner family is pregnant. 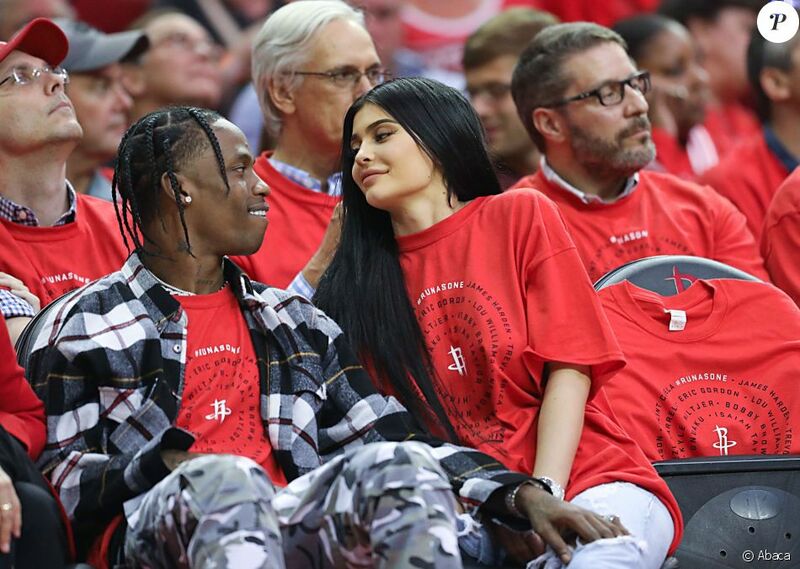 The 20 year old, lip kit mogul, is reportedly pregnant with rapper Travis Scott's baby. Scott and Jenner have been dating since Coachella in April of this year, not long after she broke up with long-term boyfriend, Tyga. As you know, Blac Chyna, Tyga's ex and baby mama, has a child with Jenner's brother, Rob Kardashian Jr.
Tyga posted then deleted a snap claiming he is the father to Jenner's baby. Kylie is reportedly due in February, with a girl. Kylie's big sis Kim and her husband Kanye are expecting their third child via surrogate in January. The internet was skeptical of this news as it broke, as the Keeping Up with the Kardashians 10 year anniversary special aired just days after. Matriarch, Kris Jenner, didn't deny nor confirm the rumors when she spoke to The Cut. Over the weekend Kylie ignored the rumors and took to social media showing her weekend with her friends as she celebrated, bestie, Jordyn Woods' birthday by even gifting her with a new car. Kylie then joined her rumored baby daddy in Vegas while he performed at the I Heart Radio Music Festival. Travis actually made a guest appearance as Hakkasan in Vegas, while I was there...however he didn't confirm any of the baby rumors. Kylie Jenner's baby daddy. Minus the bird this time. I guess this gives us even more reasons to Keep Up with the Kardashians.